We have (solar) power for the first time ever! It was exciting to switch a light on in the shack after 8 years of no power! And to boil some water for the baby kangaroo milk, and to plug in our wombats little air-conditioner to recharge. Amazing! Thank you so much to all the visitors and those who donated to help us raise the funds to get solar power and to NT Government for their solar grant. 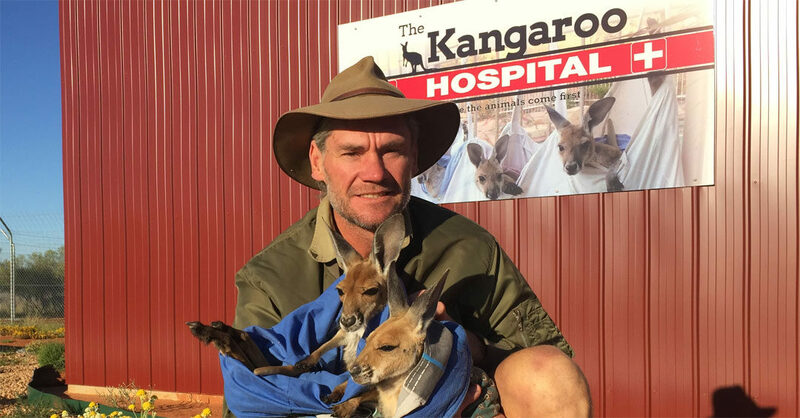 It has already made a huge difference to the running of our Sanctuary and Kangaroo Hospital. Check out our video of Jimmy and me when the lights were first switched on Watch now!